Many missions can become lost within daily activities, become absent altogether, which may confuse internal and / or external audiences. In the context of delivery, the mission sits at the top of the pyramid, guiding the strategy and ultimately focusing the project. It must drip down on the management style, behaviours and culture. Everyone has their own view and the vision can easily be lost. A splintered vision can develop, and political influence will drive discussions and strong characters will get their way. The rationale for the organisations existence, which drives your vision, is accomplished through clear formation and communication of the mission statement. It will need to be reinforced periodically. The Mission sits at the Apex of the Organisation and central to everything that it does. Get agreement across the organisation on the rationale, passion and goal of the business, in terms of:. Why does it want to get there? Clear internal and external Mission to help shape remaining steps. Support with memorable communication that uses multiple media. The Mission provides the outer most framework for the Organisation. It steers everyone involved on the direction, path and limitations of their activities. It will be compiled creatively, and communicated well. Wellcome Trust: “To support the brightest minds in biomedical research and the medical humanities”. Chrysler Corporation of America: “To produce cars and trucks that people will want to buy, will enjoy driving and will want to buy again”. The Girl Guides Association: “To help a girl reach her highest potential”. 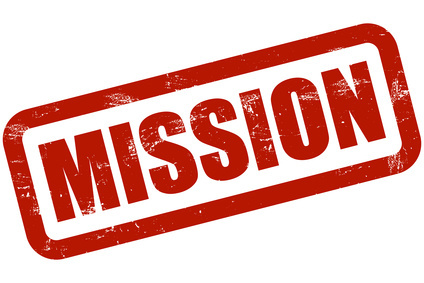 Eight words defining a clear mission!